✔ SAND-CARVED BY HAND - Integrity Bottles creates a professional "Deep Etch" that you can feel on these premium wine glasses. 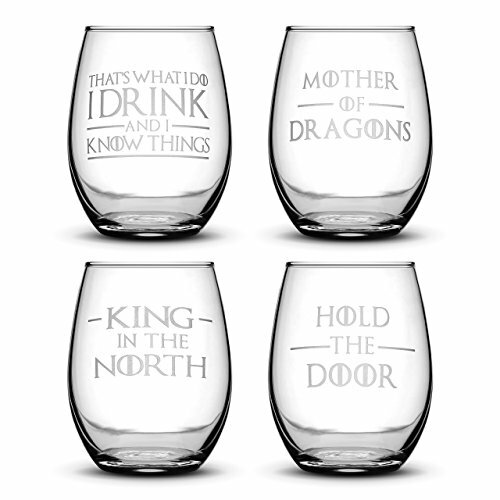 ✔ NO STICKERS OR LASERS - The deep etched "That's What I Do, I Drink and I Know Things" will never fade or come off in the dishwasher, keep these wine glasses for life. If you have any questions about this product by Integrity Bottles, contact us by completing and submitting the form below. If you are looking for a specif part number, please include it with your message.